Looking for Jerwood Arts’ wider work? Jerwood Arts is the leading independent funder dedicated to supporting UK artists, curators and producers to develop and thrive. Five new commissions by early-career applied artists Nao Matsunaga, James Rigler, William Shannon, Louis Thompson and Silvia Weidenbach brought about through the biennial Jerwood Makers Open. Each combines a high level of technical skill with imagination and intellectual adventure, constituting a fresh and exciting direction of each artist’s work. Nao Matsunaga’s work for this exhibition uses hand-formed clay and brightly-painted wood to create a series of sculptures inspired by the overlooked heritage of ceramic architecture, focusing in this instance on ceramics used in ceremonial structures. His organic, cloud-like shrine is larger than any other freestanding ceramic sculpture he has made before. James Rigler’s work for this exhibition involves three monuments: a 2.4m-high obelisk, a statue of a giant hand, and an archway, their grandeur undermined by his use of everyday materials such as fabric, wood, paint and metal. Through these structures he explores the hierarchy of objects and the qualities that distinguish something from being ordinary or extraordinary. William Shannon’s work for this exhibition involves a 4x4ft pottery workshop, complete with a fictional potter and a working kiln that produces real pots from locally-sourced London clay. The piece is the last in a series of five works where Shannon develops fictional tradesmen, their tools and working environments. The series aims to pose questions about how and where material things are made and suggests ways in which local materials and manufacture could allow new, lightweight industries to be reintroduced to the city. Louis Thompson’s work for this exhibition features a series of blown glass forms designed to challenge and tease the viewer. The works combine water and light and use shadow, reflection, distortion and illusion to force the viewer to question the structure and production process of each piece. The work extends Louis’ previous interest in repetition, sequence and multiple, and the aesthetics of medical and scientific apparatus. 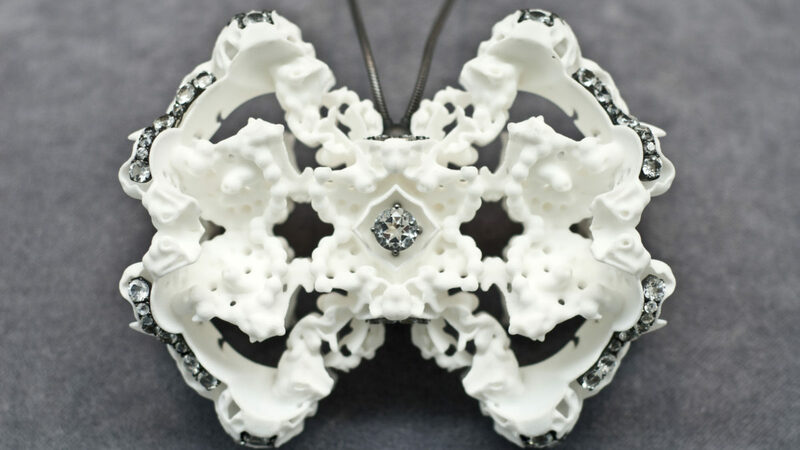 Silvia Weidenbach’s work for this exhibition includes three chunky necklaces inspired by found objects, experimenting for the first time with a new process that combines 3D printing with traditional jewellery-making techniques. After photographing the found objects, she manipulated the images using a digital symmetry computer programme, before making prototypes of the forms using a 3D printer. These have then been adapted and cast in resin, silver or titanium before being embellished with precious and semi-precious stones. The five artists were selected from over 200 applications in response to an open call for self-directed projects from UK-based makers within 10 years of establishing their practice. Each artist received a bursary of £7,500 to support experimentation and the making of new work for this exhibition. The five artists were selected by an independent panel comprising Felicity Aylieff, ceramic artist; James Beighton, Curator at mima Middlesbrough; and Lauren Parker, Head of Contemporary Programmes at the V&A. 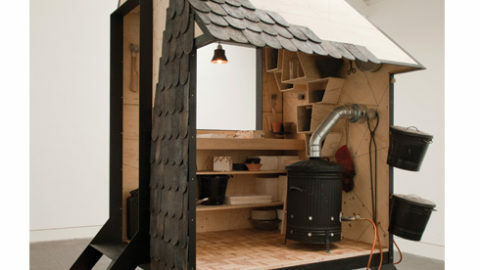 Jerwood Makers Open was established in 2010 to promote the significance of making and materials within the visual arts arena, seeking to support exceptional skill and imagination. Since 2010, Jerwood Charitable Foundation has awarded commissioning funds totalling £180,000 directly to artists through this project. It has supported 24 major new commissions, offering a rare opportunity for artists to freely develop creative ideas central to their individual practices. It looks broadly at how contemporary artists are defining or challenging the boundaries of what has traditionally been described as applied arts. Alumni include Keith Harrison, James Emmanuel Boos and Matthew Raw. From 2015, Jerwood Makers Open runs on a biennial basis.